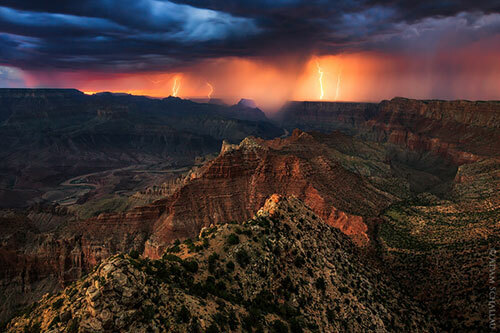 The Grand Canyon in Arizona is one of the planet’s Seven Natural Wonders. 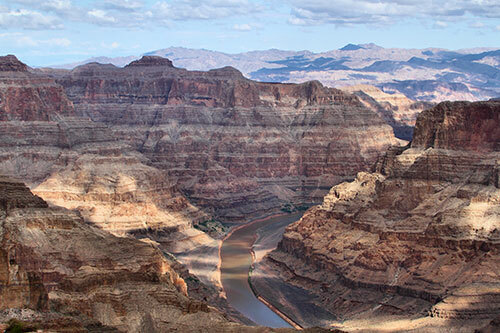 More than a mile deep, the canyon runs for 277 river miles, which are protected as Grand Canyon National Park. If you’ve traveled there, you know that there is no landscape on Earth that is more astonishing. Purple abysses, vermilion cliffs and rainbows made of stone make you feel as if the scene couldn’t possibly be real. And yet, it is. Now, however, this area of almost incomprehensible novelty is threatened. The Canyon Mine, a uranium operation located in the Kaibab National Forest only six miles from the South Rim, is set to reopen. Environmentalists propose that President Obama designate some of the national park’s environs as a national monument, which would permanently ban all mining there. Which will we choose: mining or monument? Since the early 1900s, the state of Arizona has mined for uranium, the raw material needed to make nuclear power. In the early 1990s, however, uranium prices plummeted and many mines closed. By 2007, the market rebounded, and a few previously closed uranium mines were restarted. In 2010, the U.S. Geological Survey reported that 15 springs and five wells within the Grand Canyon’s watershed (just outside the park’s boundaries) had uranium concentrations considered toxic. The Grand Canyon Trust, a nonprofit organization that works to preserve and restore the Colorado Plateau, reports that existing uranium mines, including some closed more than two decades ago, have polluted the region’s groundwater with uranium levels in excess of safe drinking water standards. According to former U.S. Senator from Colorado Mark Udall, writing in a blog article for The Huffington Post last year, mounting evidence suggests that uranium spills have been going on in the Grand Canyon for decades. Contaminated water from the Orphan Mine site on the canyon’s South Rim is poisoning a spring-fed creek deep below the rim. The mining company left taxpayers with a $15 million cleanup bill. On the canyon’s North Rim, 2.85 million gallons of highly uranium-contaminated groundwater—containing more than 80 times the upper safe limit of uranium for drinking water—filled the deep shaft of the Pinenut Mine, which was discovered when the mine was reopened in 2009. On October 12, 2011, Arizona’s U.S. 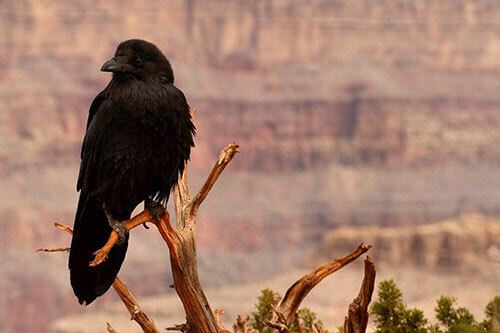 Senator John McCain and U.S. Representative Paul Gosar proposed legislation to open one million acres of public lands that form Grand Canyon National Park’s watershed to new uranium mining. In 2012, the U.S. Interior Department banned new uranium mining on one million federal acres for 20 years. The National Mining Association is appealing that order, contending that any possible contamination would never reach the park. 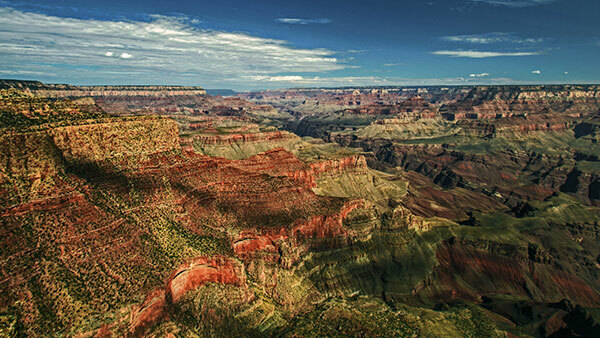 In early 2016, the Arizona-based Prosper Foundation, a Koch brothers-sponsored organization, along with the Arizona Chamber Foundation coauthored a report declaring that protecting the public lands around Grand Canyon National Park as a national monument would be a “monumental mistake” that represents unwarranted and unwanted federal overreach, undermining the state of Arizona. • still allow hunting, grazing, recreation and other uses to continue under existing law. Safeguarding the Greater Grand Canyon as a national monument has an extremely high level of support in the state. A poll released in February by the Grand Canyon Trust found 80 percent of Arizonans support the proposed monument — including 65 percent of Arizona Republicans. Unfortunately, Arizona’s Congressional delegation, the pro-mining Arizona Chamber Foundation and the Koch brothers-linked Prosper Foundation believe monument designation for the Grand Canyon will only hurt the state. In February, President Obama used the Antiquities Act to declare three new monuments in California. Let’s hope he’ll use it again in Arizona. Because where else do purple abysses, vermilion cliffs and rainbows made of stone make you question reality? Monument. This canyon is too spectacular to disturb. Arizona as a whole is a special place on this planet. The Grand Canyon is just a part of it. Unfortunately its beauty is partly a result of Arizona’s mineral wealth. Not only the Canyon area, but other areas are at risk. I hope that all the mining, as and when absolutely necessary, is done while protecting the natural beauty that is Arizona. Another example of not doing things right the first time. And why McCain should be defeated.